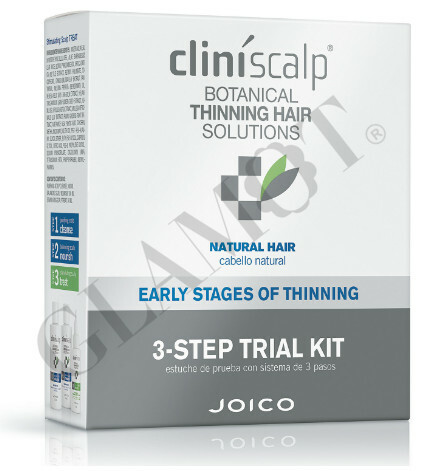 Joico Cliniscalp Purifying Scalp Cleanse for natural hair's purpose is to cleanse the scalp of DHT and environmental residue that can contribute to hair loss, helping to create an optimal scalp environment for healthier, thicker-looking hair. 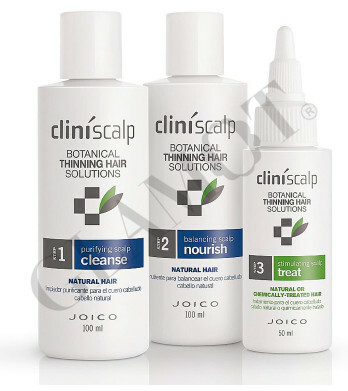 Joico Cliniscalp Balancing Scalp Nourish is used to nourish, balance and protect the scalp, helping to create an optimal scalp environment for healthier, thicker-looking hair. 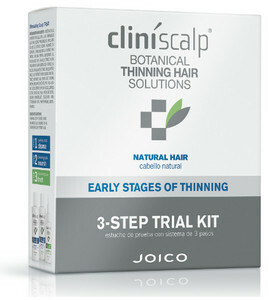 Joico Cliniscalp Stimulating Scalp Treat is used to accelerate scalp respiration, nourish hair follicles, and remove DHT and environmental residue buildup from the scalp, helping to create an optimal scalp environment for healthier, thicker-looking hair.